What are wheatberries? We asked ourselves the same thing – so here’s the skinny: wheatberries are the whole grain form of wheat, the whole, complete grain before it’s undergone any processing. A fantastic source of potassium, iron and fiber, wheatberries add a unique texture to this flavor-packed chili recipe. This hearty, colorful one pot meal is sure to be a crowd pleaser. 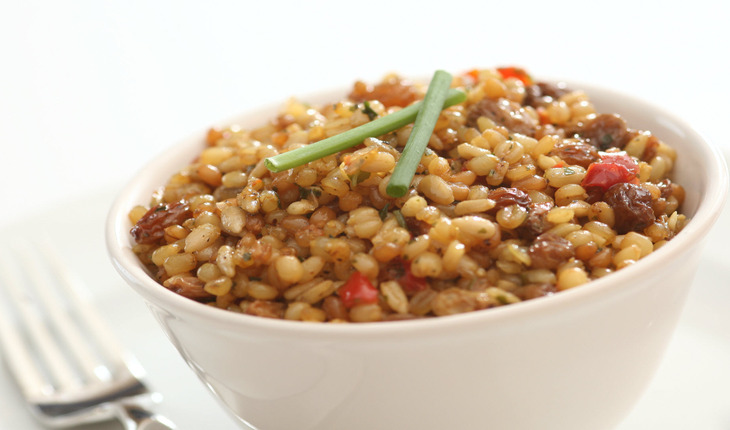 Cook wheatberries in 3 cups of water for 1 hour until tender; add more water if necessary, drain. Rinse with cool water and drain thoroughly. In the microwave, on medium heat, cook onion, green and yellow pepper for 1 minute, or until desired softness. In a 4-quart pot, combine remaining ingredients with wheatberries and microwaved vegetables. On stovetop, bring to a boil and simmer uncovered 1 hour or until desired consistency is reached, stirring occasionally. Use veggie broth to make vegetarian.